Steve joined Diamonds youth set up from Peterborough United, and was a promising youth team goalkeeper. He was still an apprentice when he was called into the first team squad in December 1998 following injuries to both Mark Smith and Mark Gayle. 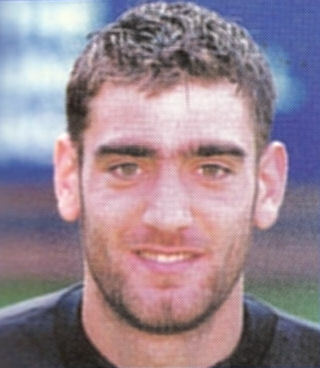 Diamonds recruited American keeper Ian Feuer as cover, but a bout of Christmas flu meant that Steve got his chance to start in the home game against Woking on 28 December 1999, keeping a clean sheet in the 2-0 win. Sadly for Steve, Feuer recovered from the virus to start in the FA Cup games against Leeds United, and he had to be content with a place on the bench. Steve left Diamonds at the end of the season, joining Wisbech Town briefly, before spending two seasons with Stamford where he played in 87 consecutive game – a club record. In the summer of 2002, he joined Kings Lynn briefly before spells with Deeping Rangers and back with Stamford. He was with Wootton Blue Cross in March 2004 when he got a call from former Diamonds manager Brian Talbot to cover an injury crisis at Oldham Athletic. Although he was offered a short contract to remain there the following year, he opted for a two year deal at Kettering Town. After being dropped from first team duties, he left by mutual consent in December 2004, and joined St.Neots for the remainder of the season. In the 2005 / 2006 season, he played for Boreham Wood, Netherton United and Yaxley, before taking some time out of football. In July 2014, Steve signed for UCL Premier side Peterborough Northern Star before retiring from the game.